Amy Robbins is more than just a DJ. Since 2009, Amy has made her name internationally known throughout the entertainment industry. She has dominated the dance floor at the acclaimed best clubs in the nation, has energized fans at all kinds of sporting events across the country and has captivated audiences on multiple syndicated radio shows over the airwaves. Amy has shared the stage with well known artists and DJs such as John Legend, Tiesto, Diplo, Calvin Harris, Mix Master Mike, DJ Qbert, Z-Trip and many more. She has performed in front of audiences of 70,000 people and has appeared on nationally broadcasted television while curating music for multiple sporting events. 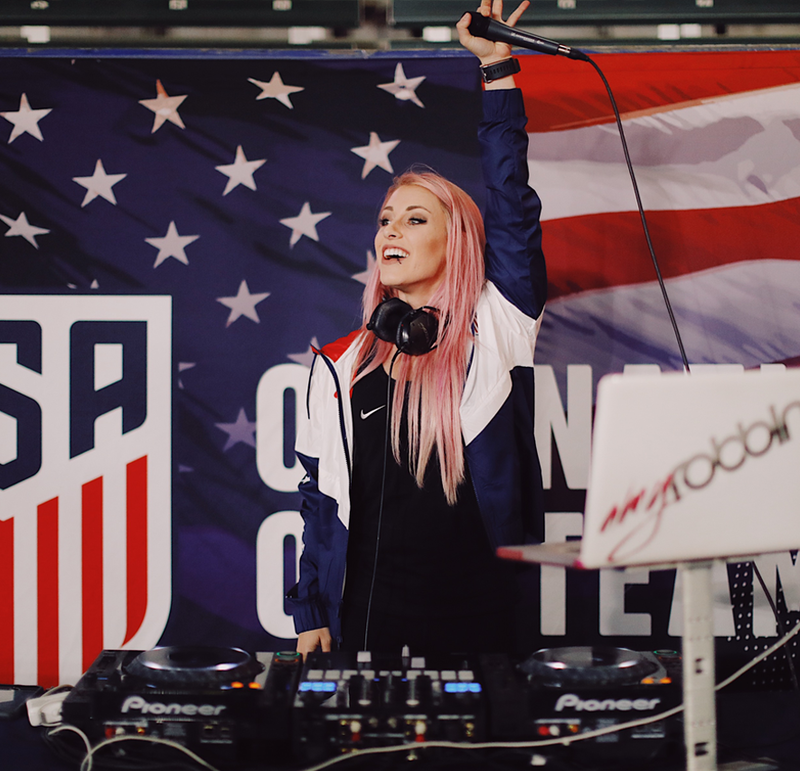 Outside of DJing, Amy's exclusive compositions are heard throughout stadiums all over the world for clients such as the NFL, U.S. Soccer, the NHL, and professional football and basketball cheerleading teams. She has hosted events for clients such as Intel and Red Bull, and serves as an ambassador for the latest technology within the DJ industry alongside Thud Rumble. Recently, Amy has signed on as an ambassador for the number one record pool in the world, BPM Supreme. From stadiums to intimate venues, Amy's eclectic style satisfies any crowd. No matter where she performs, she becomes unforgettable. Toro Toro - Washington, D.C.
2019 © Amy Robbins. All rights reserved.